Humanities Prep's very own teacher Leslie Martinez has spearheaded an initiative to encourage students to read and write by giving them the space to meet and have discussions with authors. This year we were excited to welcome our first author Ashley Woodfolk who wrote The Beauty That Remains. This year we have already welcomed three authors: Jason Reynolds, Sarah Moon, and Keely Hutton. 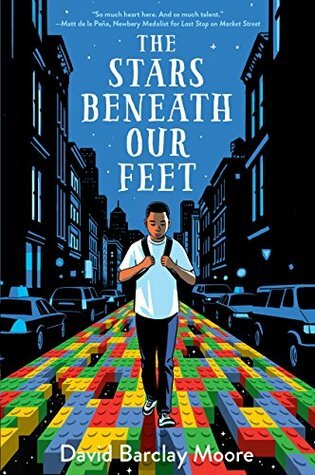 We have a few more authors in the works for this year, including David Barclay Moore. He wrote The Stars Beneath Our Feet. For Jason Reynolds' visit, he discussed his new novel, Low Way Down as well as his other novels. He took questions about his writing process and his books from students. Around 20 teachers and students had an intimate conversation with Sarah Moon on her book Sparrow. Keely Hutton's book Soldier Boy recounts the true story of Ricky Richard Anywar, abducted in 1989 at age fourteen by Joseph Kony’s rebel army in the Ugandan civil war (one of Africa’s longest-running conflicts). During her presentation and Q&A, Keely shared a message with the students from Ricky himself. It was really inspiring to our students to hear from Ricky. He is a passionate, happy, optimistic man, and a true inspiration to our students.